I’ve written this to share news from the show and talk through the stages involved – from making the decision to exhibit through to being at the show. I hope it might help others who are thinking about exhibiting or are exhibiting for the first time in the near future! This was my second time exhibiting at a major tradefair. 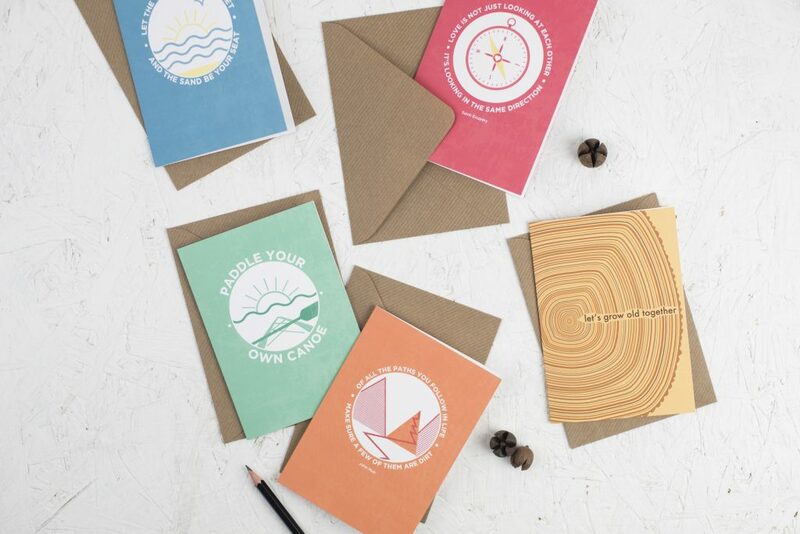 I officially launched my products at Pulse in 2017 which you can read more about here. 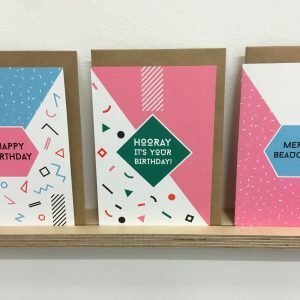 So, why did I choose Top Drawer? Having exhibited at Pulse last year, I felt that Top Drawer was a really good next step. It’s a much bigger show than Pulse and pulls in larger numbers of visitors. There are two Top Drawer shows a year – Spring/Summer held in January (13-15th 2019) and Autumn/Winter held in September (9th-11th September 2018). I made the decision to exhibit in January because I received some insight from a friend/buyer that the January fair is a slightly busier show. I made the call that as I could realistically only afford to exhibit at one this year, I would go for January. For people who are considering exhibiting, I would really encourage you to walk the show once or twice before committing! 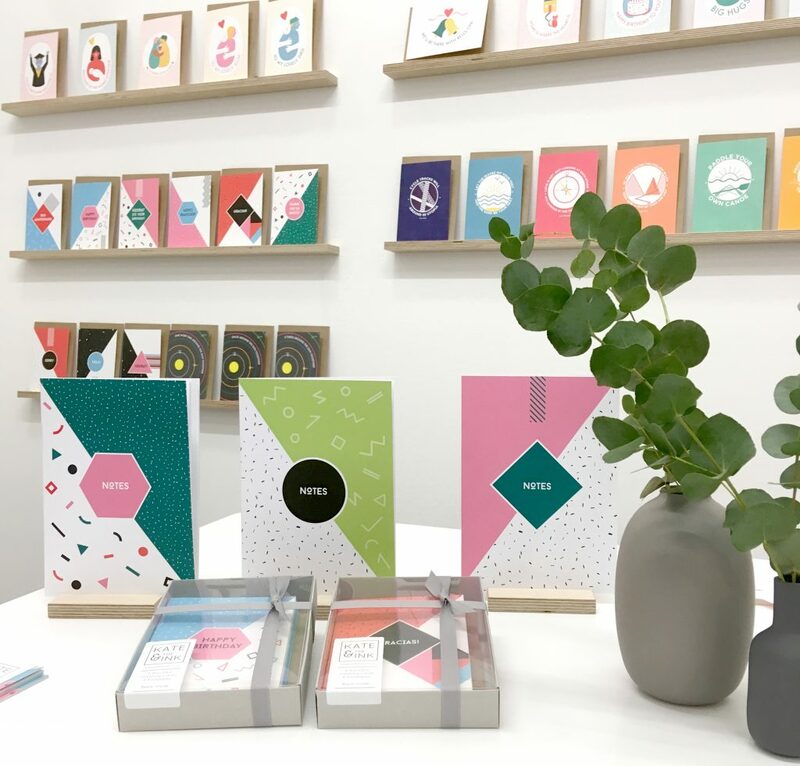 I launched two new ranges of greeting cards at the show. My ‘Craft’ range which also includes three new screenprints 1) 2) 3). And a few additional cards to my existing ranges. I rented a table through http://www.thorns.co.uk/ and thought it complemented my stand nicely and was reasonably priced. I wasn’t able to drive everything down to London and took the train with my worldly wares. Hence, making the decision to rent a table! My lovely brother (shout out to Taran Guitars) helped me make my shelving which I now have for future shows. We spent a fair amount of time planning these and ended up making 1metre long ply shelves with a 4mm slot for propping the cards up. I’m really pleased with them! The set up itself was fairly easy after we had sourced a spare ladder at Olympia. We did most of the work on the Friday (putting sign, vinyl lettering and shelves up). On the Saturday, all we had to do was the print wall and arranging the card display. I would recommend doing the big jobs on the Friday for a few reasons: if anything goes majorly wrong, you still have Saturday to make changes! Also, there are fewer people setting up on Friday which means there generally are a few spare ladders floating about. Finally, when everything is finished on Saturday, you can wander down to Westfield (did I mention how much I love Westfield? ), buy goodies in shops like Uniqlo (when will you come to Scotland Uniqlo??) 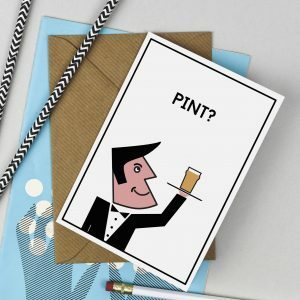 and then go for a delicious dinner with your amazing stockist pal Sarah and her lovely husband Angus from Pencil Me In! The show opens at 09.30am on the Sunday and I found that it was busy from about 10am. The greetings and stationery hall is at the end of the venue so it takes a while for everyone to make their way along. I made the decision not to rent a chair for this show! This sounds like madness but actually I still think it was a good decision. You are more approachable when you’re on your feet. An absolute must is a pair of really comfy shoes! Generally, I found Sunday very busy and again received direct orders from the word go. Monday morning was a bit quieter but the afternoon picked up. Tuesday was a busy day all day and I genuinely took my last order as they were announcing the show was closing over the tannoy. The lesson here is to anticipate being on your stand until the very last minute (no sloping off early)! 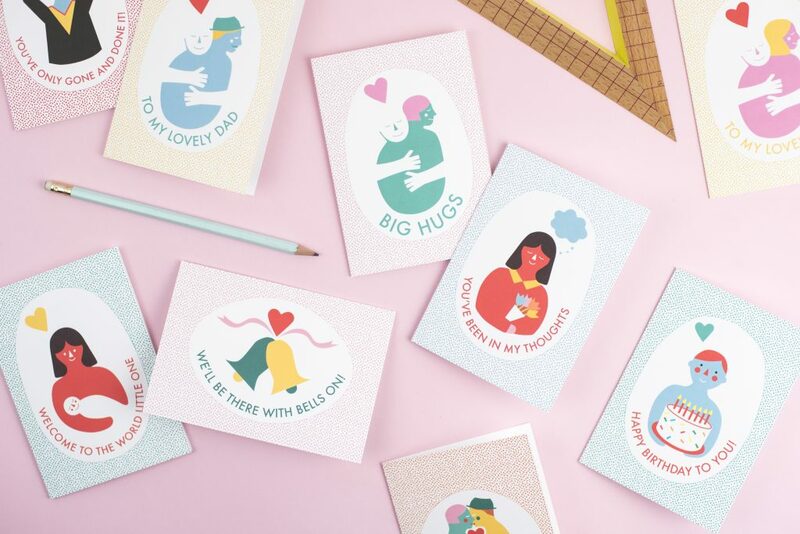 If you’re reading this and would be interested in stocking my products, please get in touch as I’d love to hear from you! If anyone reading this would like to ask me any questions about exhibiting at a tradefair (though my experience is limited to Pulse and Top Drawer) I’d be delighted to answer them if I can. Just wondering if you have any thoughts on Peggy’s post below? That was an excellent and most informative read Kate. 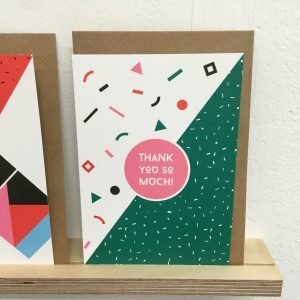 Thanks for relaying your experience at top drawer. So many top tips ! 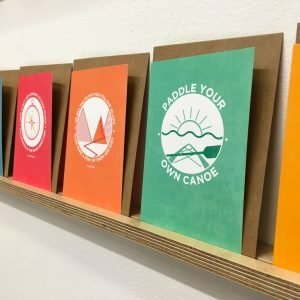 I’m a card company from Portland Oregon. Right now we have a continual account with liberty of London but that’s the only account from overseas. Did you meet many people that were exhibiting all the way from the USA? Any excuse to get myself to London and then called a business trip would be extraordinary. I’ve heard this is a really great show! It’s very kind of you to share your information. 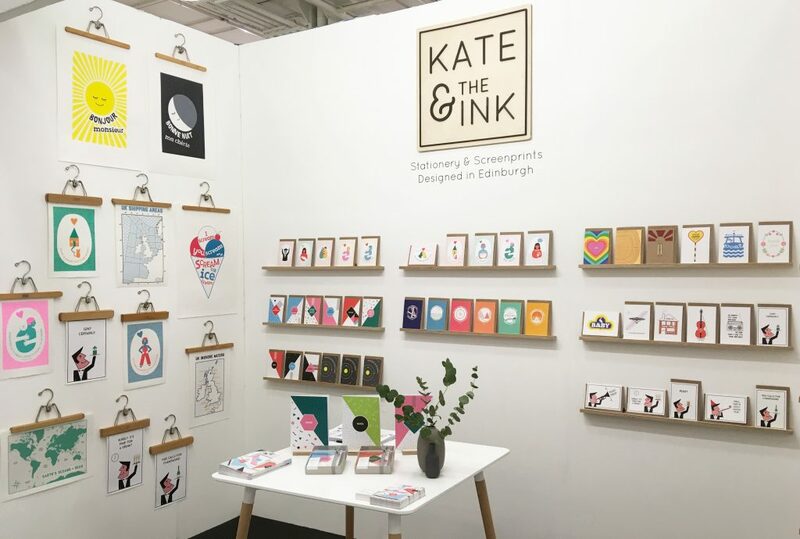 Hi Kate, Thanks for sharing your experience of exhibiting at Top Drawer, we are coming over from Australia to exhibit next January so your tips are very much appreciated! So pleased it was helpful. I’ll be at Top Drawer in January (on stand Z47) and it would be lovely to say hi! Hi Kate! Great post – thanks for sharing. 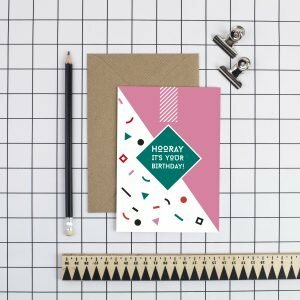 I’m new to the card business and am exhibiting at Pulse this year. Just wondering how many cards do you release in a range? Many thanks again for sharing your experiences!! I aim for at least 6 in a range and have gone up to 10. I’m no expert though – it might be worth asking others too! 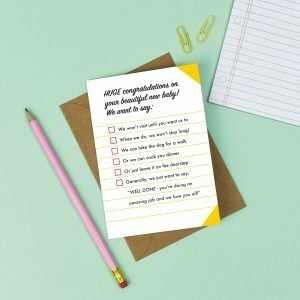 Just wanted to say thank you for your blog posts! 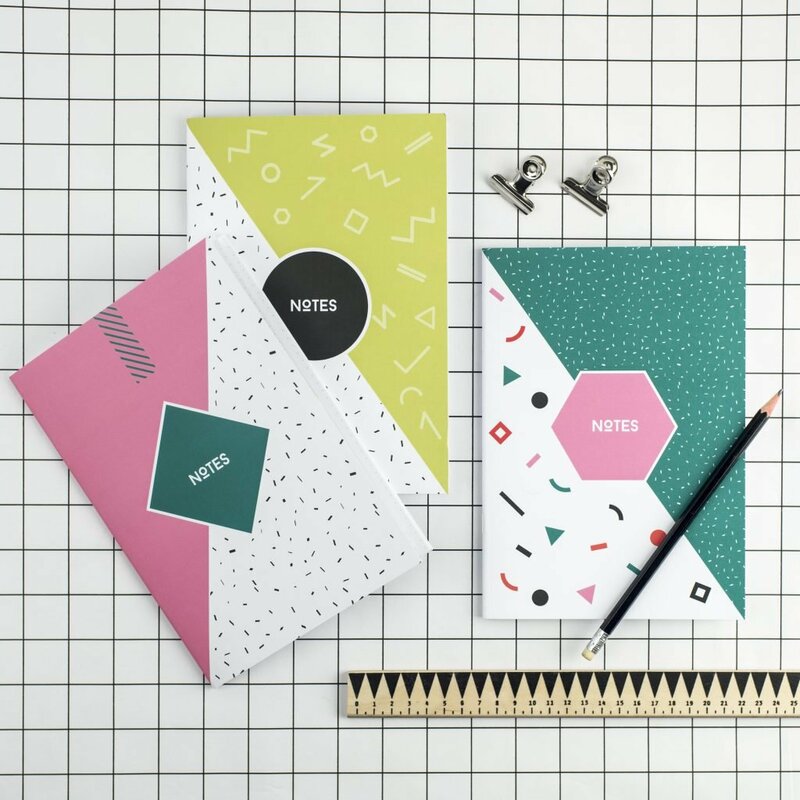 I am at a stage in my life where I want to make my passion (art) into a career (stationery etc) and find these posts SO HELPFUL! Whilst I am still at the beginning of my journey, I have pinned these and no doubt will use your tips in the future. It is so refreshing to come across a business who is willing to help others like this and I am certain that because you are like this, you will become even more successful than you are now! Good luck with your lovely business! P.S. I came on to your website as I had bought your lovely rainbow heart card (right up my street!) and wanted to know who made it!